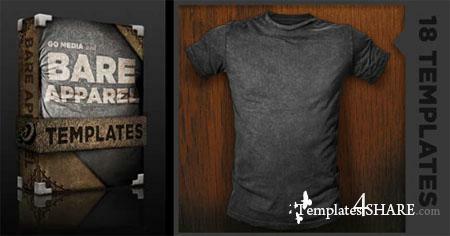 Go Media's Distressed Shirt Mockup Templates are for serious designers who know that first impressions are everything. We paired up with industry leading Bare Apparel to create the hardest hitting grunge T-Shirt Templates to date. These 18 templates easily simulate Affliction style printing!